I have a thing for analogies. I love it when someone can connect the dots between two things otherwise not connected. I try to file these away in my head for future use, and sometimes I am actually able to recall the right analogy and share it with the right person at the right time. Once or twice, I’ve been fortunate enough to create the parallel right on the spot. My guess is that’s how it is with author, pastor and Ambrose University professor John Van Sloten. He seems to have the gift of analogy — admittedly not one of the spiritual gifts in scripture — that would allow him to make up instant analogies as needed. On second thought, that is the gift of teaching. 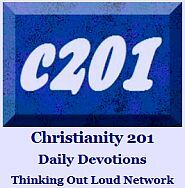 And teaching through parables was the preferred form of Christ’s earthly ministry. My guess is that in our time, Jesus would be creating an abundance of modern day parables using everything from nature and agriculture (which he did) to sports, to driving a car, to scenes from movies, to technology. God is more present at your work than you know. And I think he wants you to know that. God wants you to see that he is there and that His Spirit is moving in you, through you, and all around you. God wants you to know him in all you do – including the third of your life that you spend working. Sometimes an analogy is not entirely necessary. The chapter on first responders, ER nurses and physicians is a reminder that such people are, in those situations, the very hands and feet of Christ. Reading this I was reminded of the title another book, published many years ago but also from NavPress, Your Work Matters to God. I couldn’t help but think how many people feel that their work doesn’t matter. That they’re merely trying to pay the bills so they can have some time or money left over to do work for God’s Kingdom. Van Sloten would argue that your ministry doesn’t begin at 5:00 PM or whenever you punch out at work, but rather your job is filled with ministry possibilities that can impact you, if not also the people around you. When Jesus wrapped a parable around a particular vocation, he was affirming the creational goodness of that job. John Van Sloten, above, wrote another book with an intriguing title, The Day Metallica Came to Church. There’s an interesting paradox at work as you read through. This is a book which, while structurally focused (i.e. the chapters by definition follow a specific format) it is also topically diverse (i.e. the range of colorful people interviewed provide a springboard to various broader discussions). If you’re the type of reader who likes books with pictures, this book, while it has no images or illustrations, is actually full of them. Not everyone gets to see the fruit of their labors the same day. The example is of a scientist who publishes a research paper that is based on the work done years ago by others; and then she herself may not see the full application of her discovery. We worship an eternal God whose plan is infinite, so for him to wait a few years or decades to manifest the meaning of our work shouldn’t be a big surprise. For God, there is a time and a purpose for everything. And sometimes his purpose, or the fullest sense of his purpose, shows up at a later time. Each chapter also ends with a short focus section called Lectio Vocatio. It includes a number of different directives for post-chapter consideration. There’s also an index of the various vocations mentioned as well as links to YouTube sermons the author preached on various occupations, including some not in the book. This is the spirit-lifting book everyone needs after a hard day at the office. Or factory. Or rocket ship. 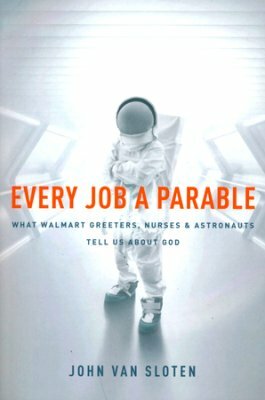 A copy of Every Job a Parable was provided by our friends at Graf-Martin Communications. Watch a one-minute video trailer with the author. As most of you know blogs are called blogs because it’s a shortening of web-log. The original intention may have been more of something closer to diary, which is a void that Facebook presently fills. A lot of what takes place in the blogosphere is ranting, therefore I propose a better name would have been web-rants, which would now be brants. In yesterday’s brant, we looked at how Christian organizations which serve the public should be committed to the highest level of customer service. 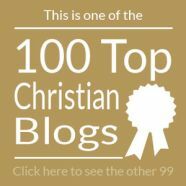 This reminded me of two other areas I’ve written about in the past, which involve the Christian commitment to excellence. The first is church music, but I will be the first to admit that many congregations simply don’t have the vocalists and instrumentalists needed to pull of studio quality covers of today’s popular worship songs or classic hymns. There needs to be some other measurement of what constitutes good worship in those environments. The other however has to do with answering correspondence; phone calls and emails in particular, and as I’ve stated before, this is a giant fail for many churches and parachurch organizations, which is strange because unlike the (music) example above, no special skills or training are needed to practice the common courtesy of responding to an email with an email, a phone call with a phone call, or a letter with a letter. But I’ll stop there, because we wouldn’t want this to become a brant would we? Related: Excellence in the details: How’s the coffee at your church? She viewed the grocery store around the corner and down the street — or any other place she happened to be — as a mission field brimming with opportunities. No doubt she prayed that God would lead her to strike up a conversation with someone who would happen to be there. And it did happen. She would relate names to me of people with whom she shared, one or two of which would end up in the kitchen having coffee, or she in theirs. Or people she had witnessed to who would just happen to be shopping for groceries the next time she was there. The question for the rest of us is, How many such opportunities to we miss? Put another way, How many people does God place in our past but we miss hearing his voice, or being obedient to his voice asking us to speak with them. Evangelism that takes place in grocery stores like Valu Mart is intentional. It no doubt began with prayer before she left the house, and a sensitivity to the Holy Spirit once she got her shopping cart and began looking not for bargains, but for people. This blog began its life as a newsletter that was emailed to a few hundred people. While combing through the archives last night, I found this piece from Spring, 2007. When Michael Frost was in our hometown this winter, he introduced many people to the concept of “solid church” versus “liquid church” for the first time. I think the term actually originates with author Pete Ward. Because we use it so often internally in conversation, we thought we’d fill it in the rest of you. “Solid” churches are visible. They have a brick and mortar building. They usually have paid clergy. They have been around for years and will continue to be around. “Liquid” churches are usually invisible. They have no buildings. There are usually not paid staff. They, like liquid poured out on rocks, fill in the cracks where the solid churches can’t reach people groups that are distinct due to ethnicity, history, criminal records, socioeconomic status, etc. 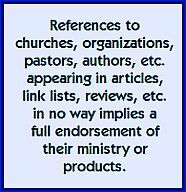 But liquid churches can also reach special interest groups, people bound by a hobby or sports-interest or just the fact they live in a certain neighborhood. Liquid churches can reach the poor, but also the wealthy. Look around you. There’s individuals and families and neighbors and co-workers and fellow-students nearby who are waiting for you to be the church for them. Not for you to drag them to your house of worship. 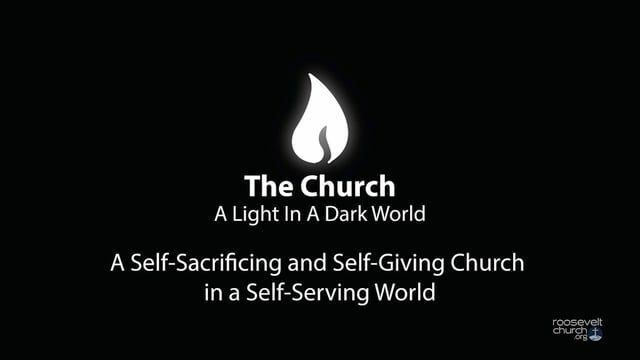 To “be” the church. So I’m sitting listening to the Michael Coren’s May 19th interview on the Drew Marshall Show, and it suddenly occurs to me there’s no post up today. I’m supposed to reviewing The Way, the new edition of the NLT, but how does one review a Bible? I’m up to the third chapter of Genesis and need to have it finished by next week. I have a feeling there are different rules for Bible reviewing. Anyway, I’m still a chapter short of finishing the 1965 biography of the Salvation Army’s William Booth that I mentioned two weeks ago. This is my ‘bedside reading’ title, so I’m in no particular hurry and my pace is slowed by (a) the richness of the language employed back then (and it’s sad to say that 50 years ago constitutes ‘back then’) and (b) continually setting the book aside to contemplate Booth’s pure genius. In addition to what I wrote then, two things are standing out now that I’ve substantially made it through the book. First, Booth was immersed in what we call today the Wesleyan tradition. Revivalism. Holiness. Repentance. But he actually despaired of altar calls that brought church people forward at meetings. He wanted the call to reach beyond the church doors, the message of holiness and repentance to see response from people in the broader population. But of course, the church people, would get upset when he brought what we call riffraff through the church doors. Their motto was “Go for souls, and go for the worst.” And their concept of how to do this involved far more than witness, but really it involved their people embedding themselves among the poorest of people. This concept extended to their international outreach; they went to establish a presence in a variety of countries; I’m not sure Booth would relate to our short-term mission jaunts today. They didn’t go to take a methodology for confronting poverty, but they took a message; the gospel. Booth, in his enthusiasm, and overlooked the fact that the cold proud city of Geneva was the birthplace of John Calvin, whose religion taught pre-election. The destiny of every soul, Calvinists argued, was determined before it ever entered the body: If some were irrevocably chose, others were irredeemably damned. But for the most part, souls responded; and while Booth’s organization is remembered today for its brass bands and annual Christmas kettle appeal, he was, without doubt, the greatest evangelist of his generation. Good advice for preachers today, I would say. Second, the thing that stood out to me was the very active role The Army took in addressing poverty: They didn’t treat symptoms, they treated causes. So while soup and soap were provided, they created business opportunities in cities and regions, building plants that manufactured bricks and matchsticks (the latter more necessary in the 1800s than we realize) as well as agricultural operations that would not only provide income but feed people (where soil and climate conditions permitted). But there are times when the church can take the skills of its people and create micro-business opportunities (as we now see happening in third world missions) or even medium sized light industrial or farming projects. Booth recognized this was the higher solution to the problem; in fact, William Booth was all about dreaming and visioning dozens of ‘solutions’ every single day. The potential of The Salvation Army in those days was only limited by Booth’s imagination, and the potential for your local church is only limited by theirs. There are souls to rescue, there are souls to save… Let us not grow weary in the work of God.